The various tales about elves vary greatly with time and geography. 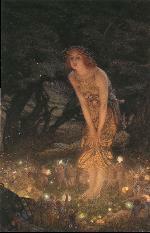 It is believed that elves were originally the spirits of the dead who brought fertility to living humans. Over the centuries, the stories evolved. Two kinds of elves developed: light elves, who are beautiful celestial beings who live above ground; and dark elves, who are ugly evil spirits who live in the ground. There is also a class of intermediate elves who live in hills--they are beautiful but melancholy creatures. 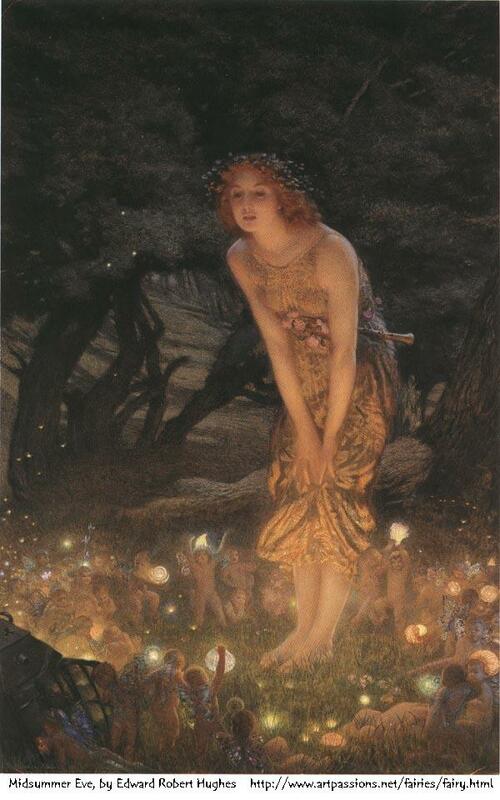 Elves make beautiful music, which humans sometimes hear if they are wandering at night. They dance in circles in meadows, living rings of extra-green grass. Only ff you stand in this circle of grass can you see the elves. Encyclopedia of Arda: Elves--This is the elf entry in a very extensive Tolkein Encyclopedia, where you can learn all about Tolkien's elves.